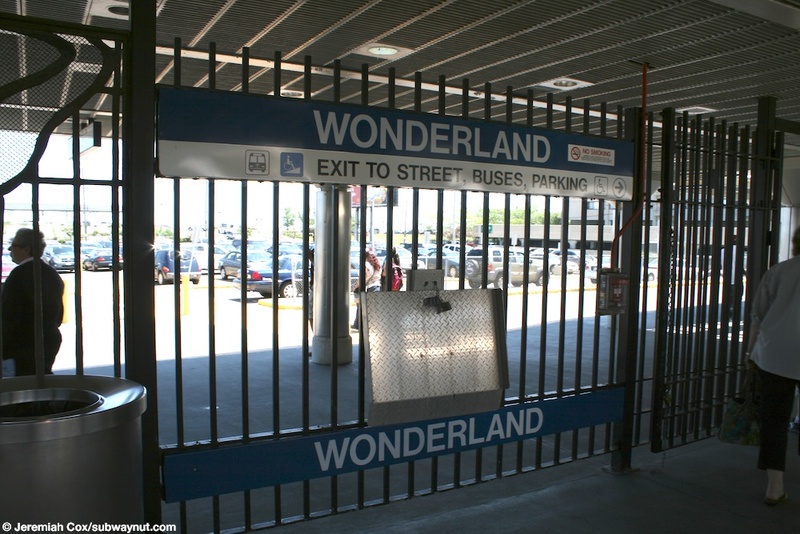 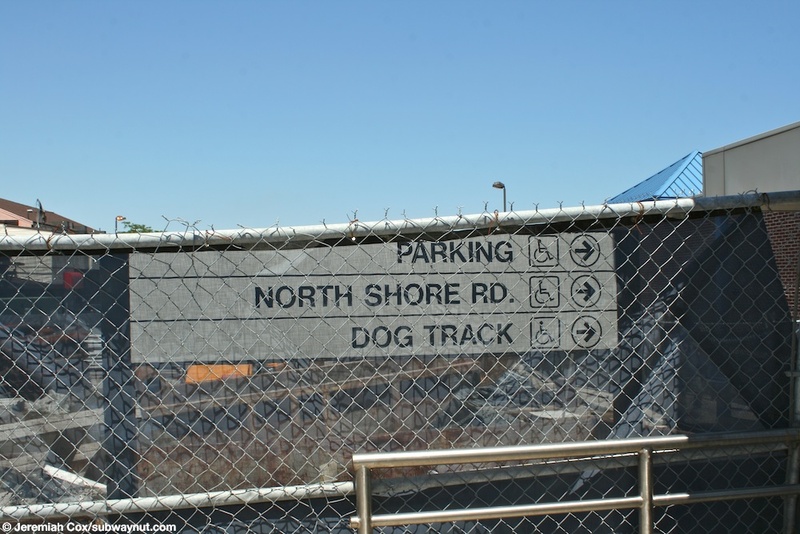 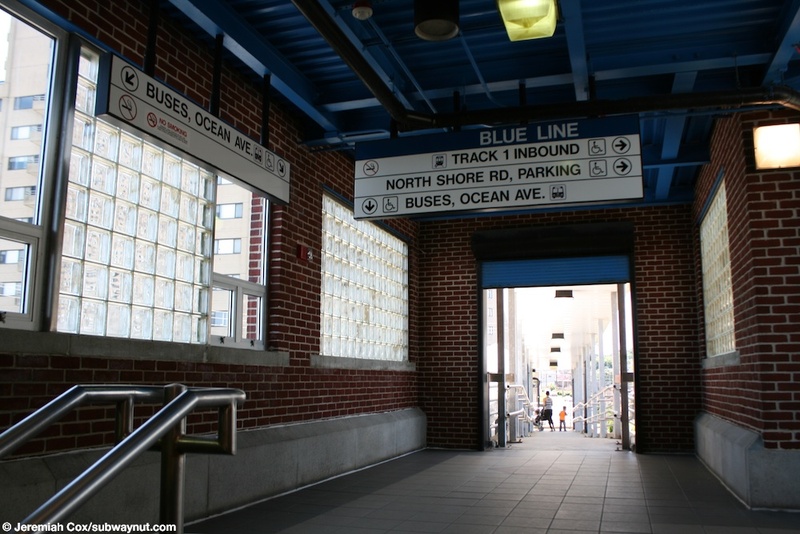 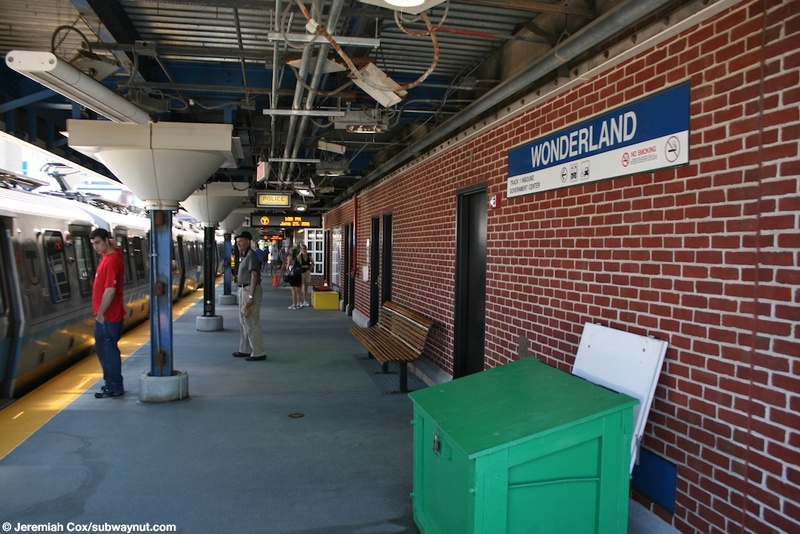 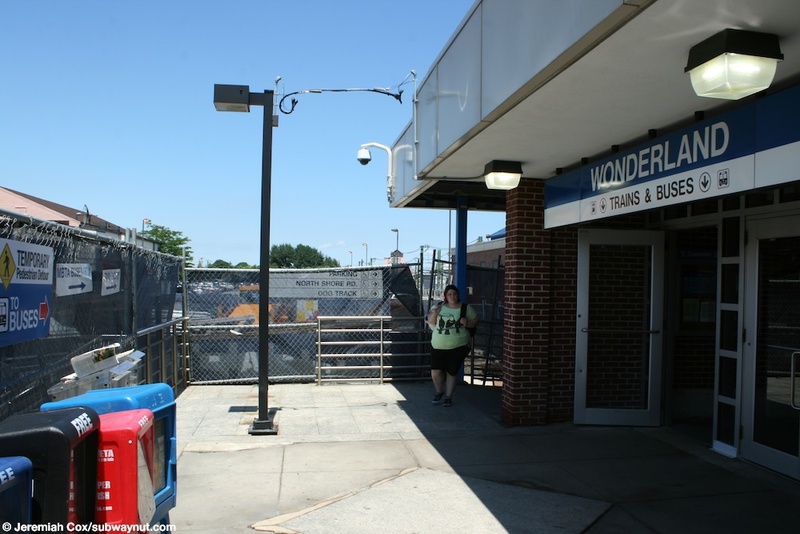 Wonderland is the terminus of the Blue Line, with the smell of salt air fully wafting the station due to the beach being just beyond and across the street from one of station parking lots. 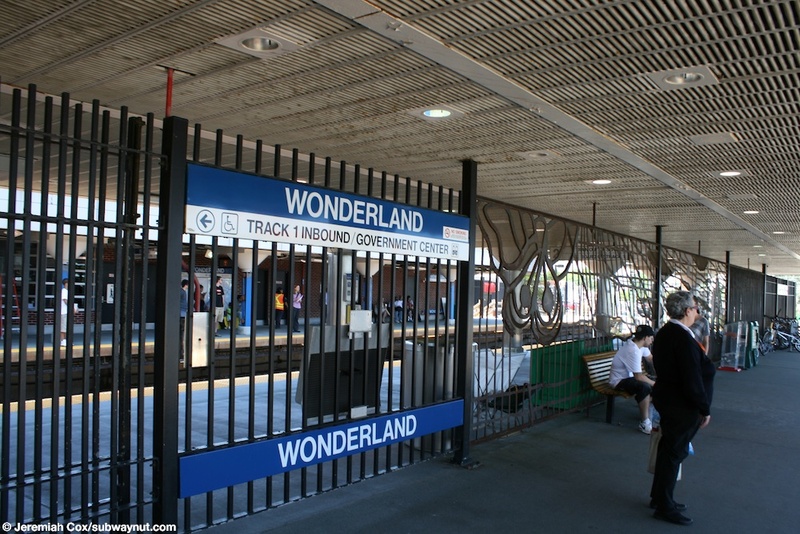 It has two side platforms with trains relaying beyond the station. 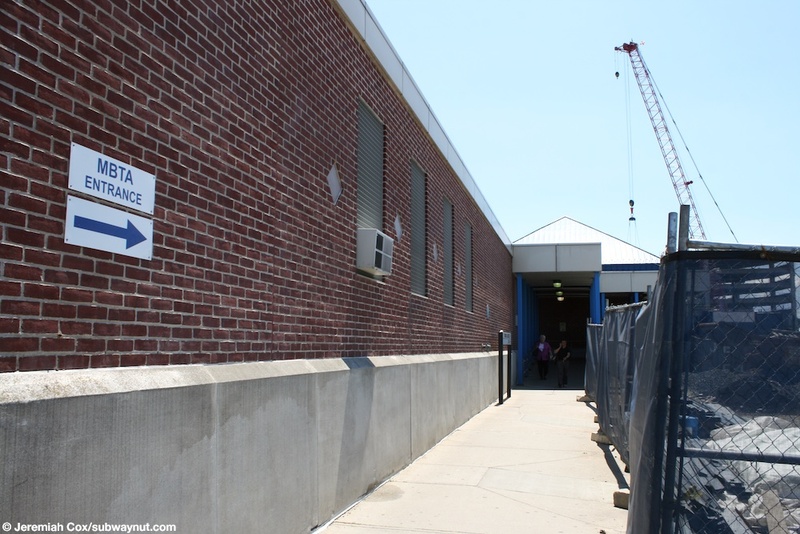 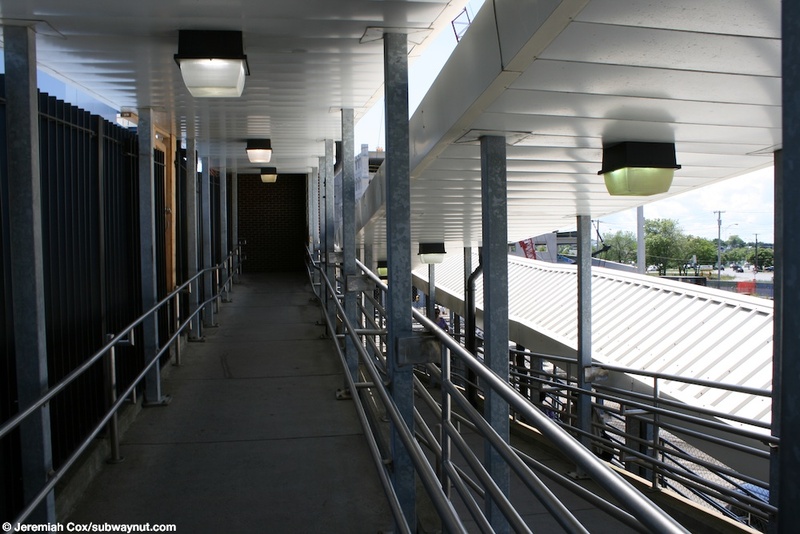 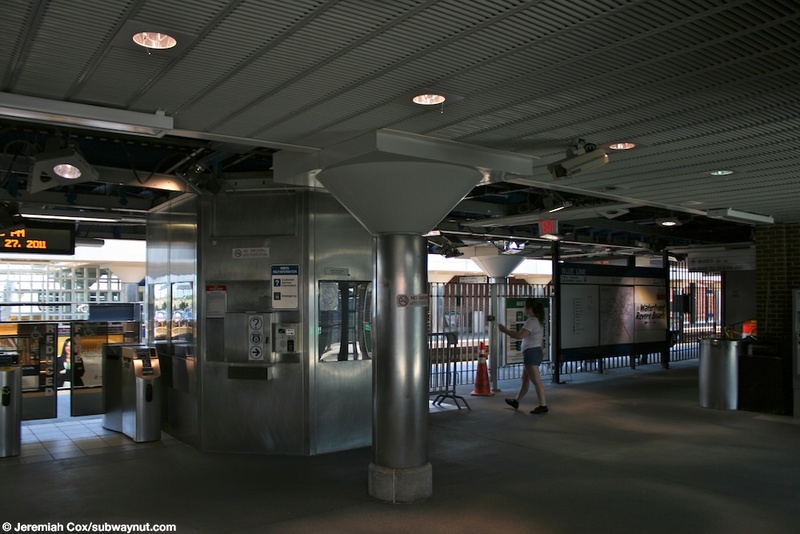 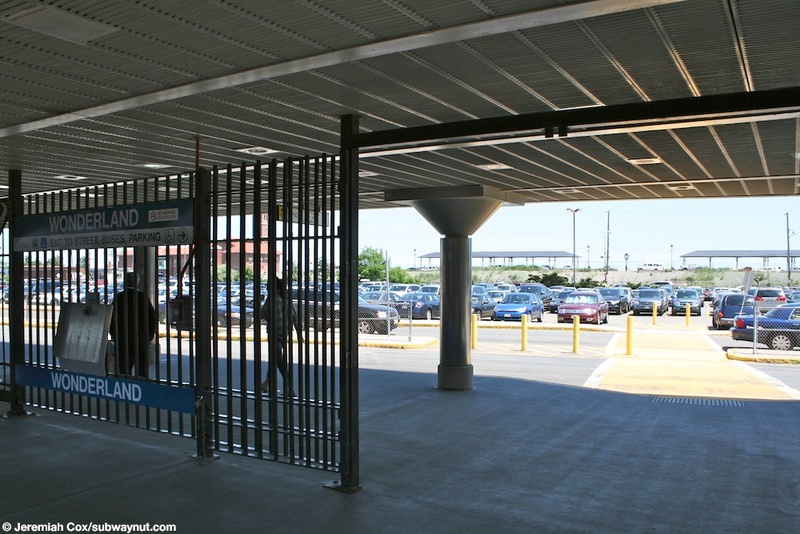 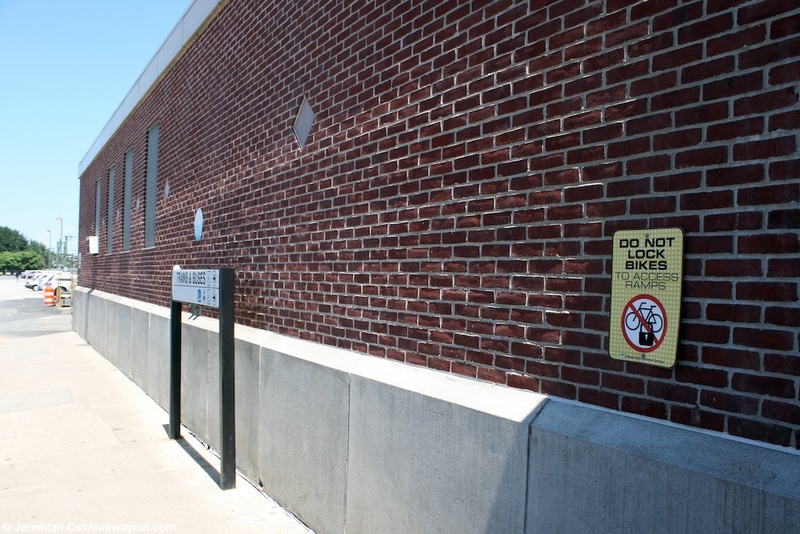 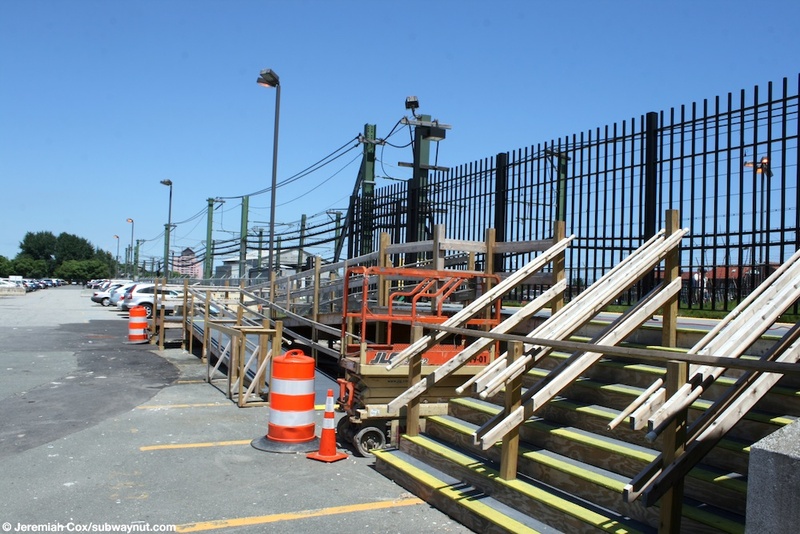 The terminating platform for outbound trains is fully outside of fare control with only closeable gates separating it from the bus loop that is alongside, and the surrounding parking lot. 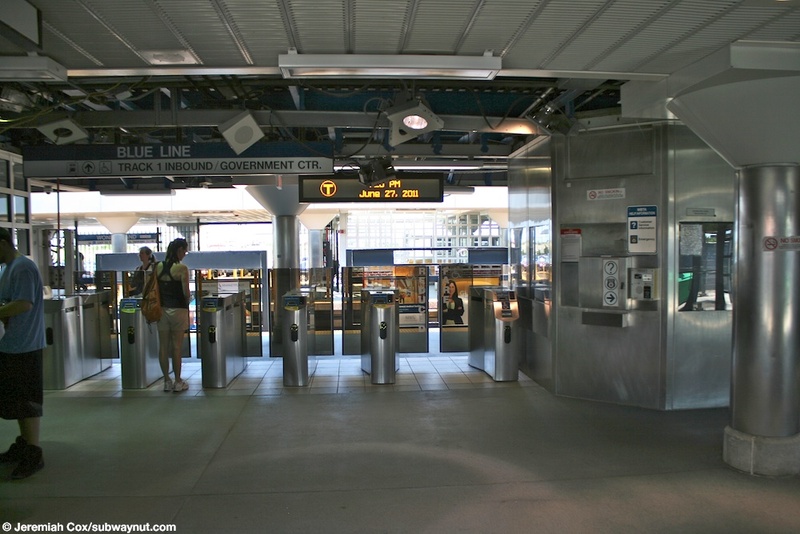 A small crossover with ramps for ADA access connects the outbound platform to the inbound platform where there are more parking lots and a single bank of fare gates for those passengers. 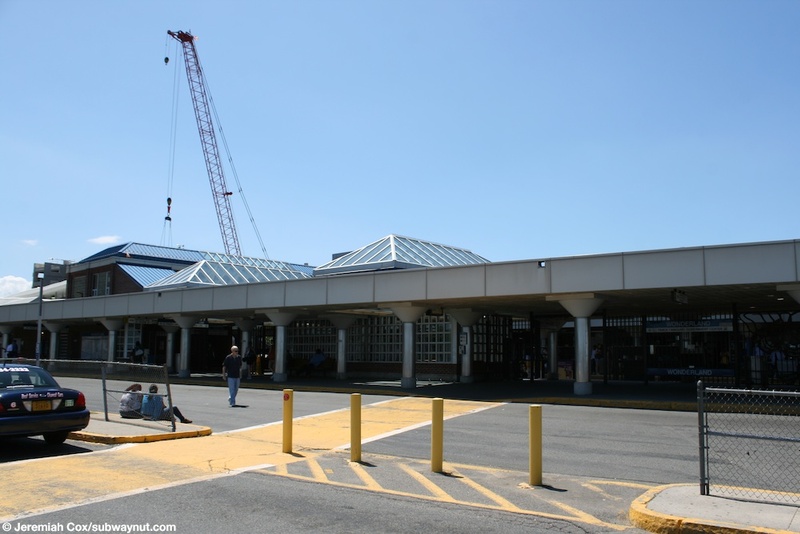 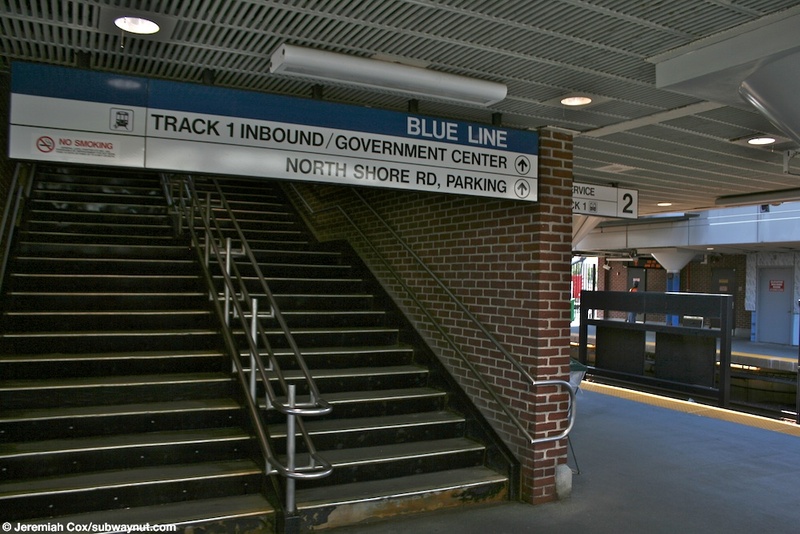 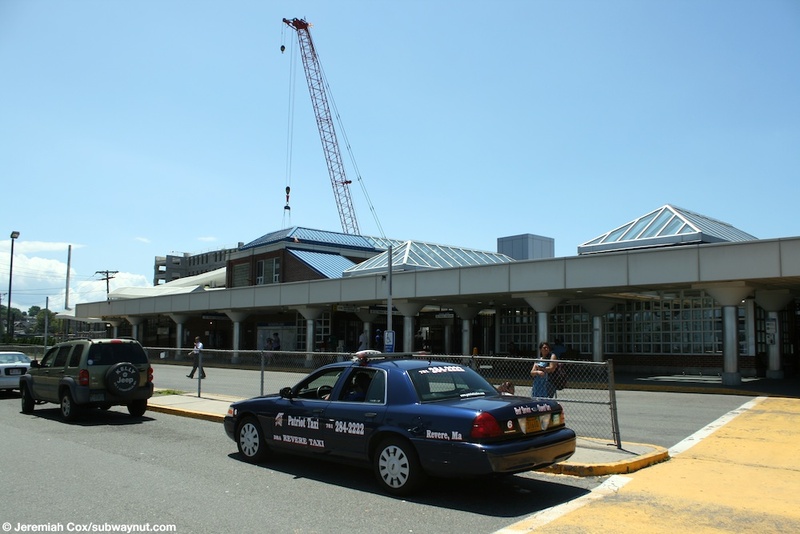 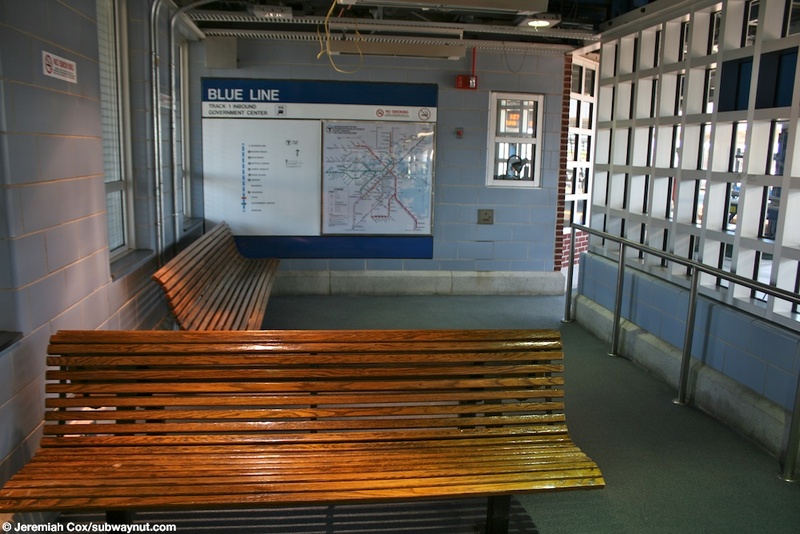 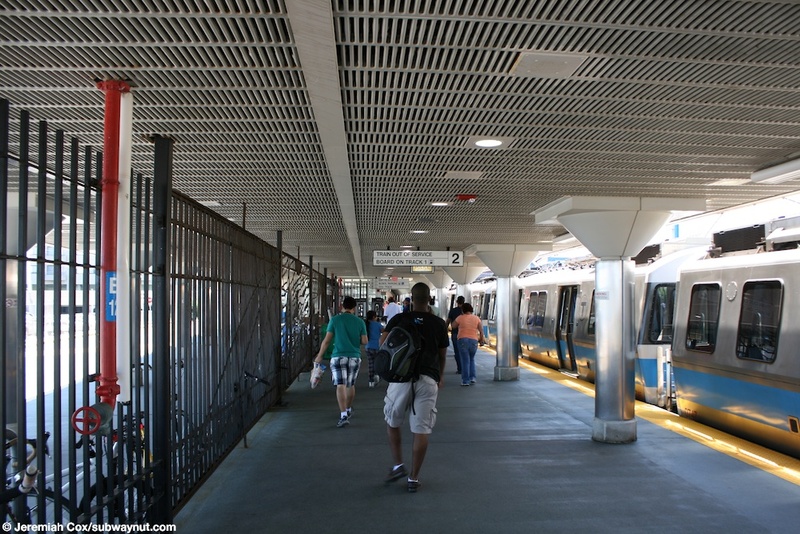 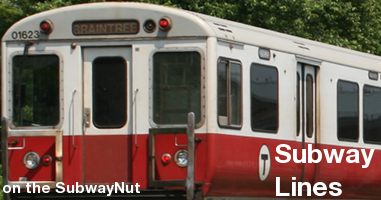 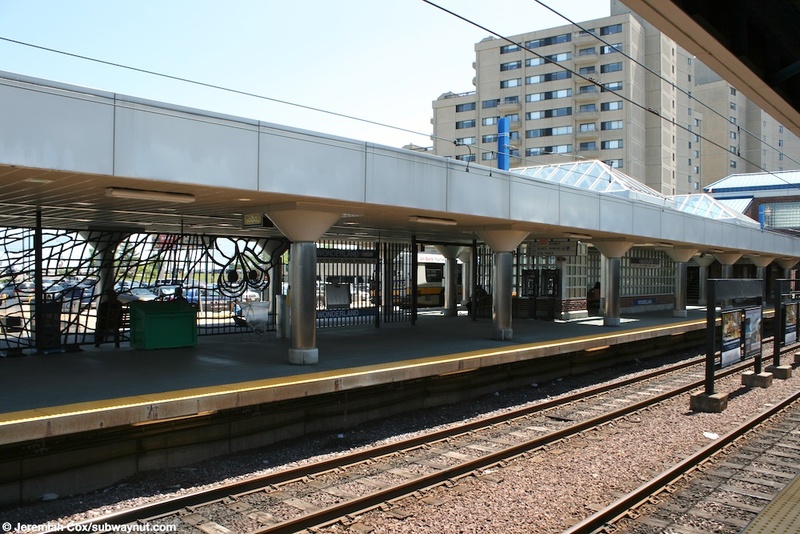 Both platforms are canopied for most of their lengths and have little enclosures with benches in them (the outbound for waiting bus passengers) that fit more in with a commuter rail station than a subway station. 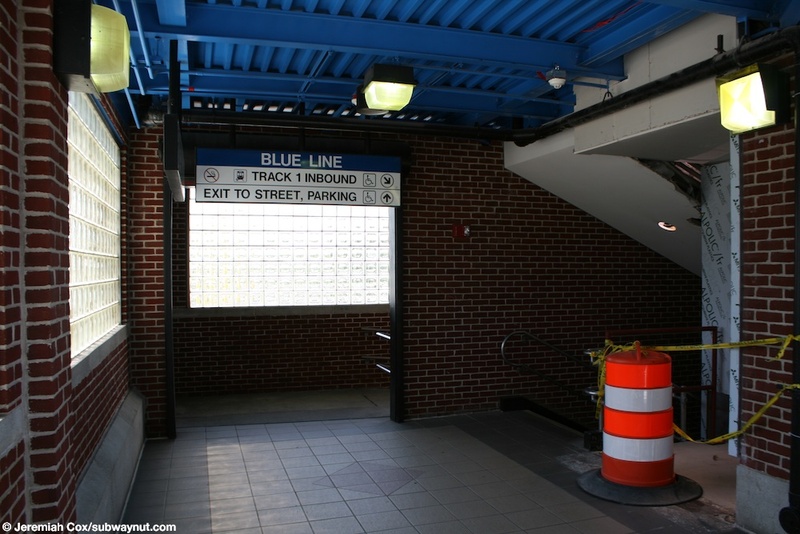 It's a real suburban park & ride station, the MBTA website says there are 1,275 spaces and a weekday availability of less than one percent.